Elevated Audio Sells Equipment in store BY APPOINTMENT ONLY. Under no conditions or circumstances do we take or will we accept walk-in customers. Please do NOT come to our location WITHOUT an appointment. Thank you for understanding. Elevated Audio gladly sells and ships to all parts of the United States, including Washington D.C. We do not, however, sell or ship to customers outside the United States. In many cases we ship free of charge. In some cases you will be charged for shipping but will be given shipping options regarding cost and speed of delivery. Elevated Audio has been in the same location serving the Van Nuys/ San Fernando Valley Area of the City of Los Angeles since 2005. We have not only survived, but have thrived through arguably the greatest economic downturn in United States history, and you should feel confident doing business with us. We take pride in ensuring our customers receive the best treatment and products for their money. We specialize in Musical Instrument and Professional Audio Sales and we also offer Professional Rehearsal Studios to many of the most acclaimed musicians in the world. We are very unique, and simply put, no one does what we do better. We accept Cash, as well as Visa, MasterCard, American Express, Discover Card and Paypal as forms of payment. We also have our own Elevated Audio credit card (on approved credit) which comes with 0% interest for terms of 6,9,12 and 18 months depending on the particular purchase. 0% interest for 6 months is always available on ANY purchase of $249 or more. We are required to collect 9% state sales tax on any items sold in CA. We are not required to, and therefore, do not collect state sales tax for purchases shipped outside of CA. This should not imply that you are not required to pay sales tax on purchased items. Please check the tax laws in your particular area. Elevated Audio has an extremely low rate of returned items and we believe that like most of our customers, you’ll be completely happy with your equipment purchase. However, in the unlikely event you are not completely satisfied with an item, you can return it within 20 days of delivery receipt for a refund of the purchase price of the item(s) minus a 15% restocking fee. If you received free shipping on your order, the value of the uncharged shipping costs will also be deducted from your refund. You will be responsible for any shipping costs to get the item(s) back to us. Items returned without a return authorization number will not be accepted. Please call us in advance for an RA number. All returned items must be in original, brand-new condition, showing no signs of wear or use such as belt-buckle or pick scratches, scuffs, dings or scrapes on the instrument or collateral materials, items must also include all original packaging, manuals, warrantees and accessories or your return may be denied. CDs, DVDs, video tapes, sheet music, books, strings, computer hardware/software, drum heads, harmonicas, mouthpieces, sound cards, microphones, raw speakers, studio furniture, blank CDs/tapes or special orders are not covered by this return policy. 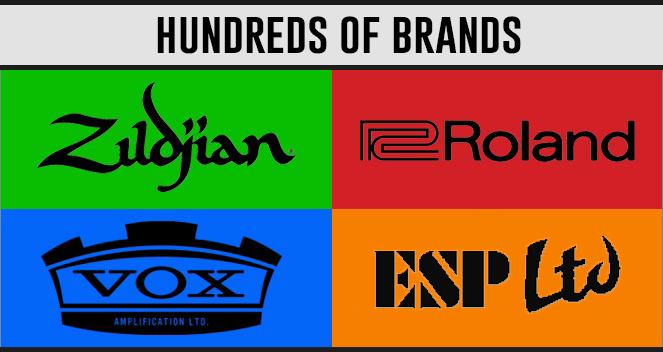 Rest assured that Elevated Audio is an Authorized Dealer of the brands we sell. In the event that you should have a warranty claim with something that you buy from us, please contact the manufacturer directly and you will have access to the original manufacturer’s as long as you have your original receipt. Manufacturer warranties do vary from manufacturer to manufacturer in regards to what is covered under the warranty and for how long. Please refer to manufacturers websites for complete details or contact manufacturer directly. 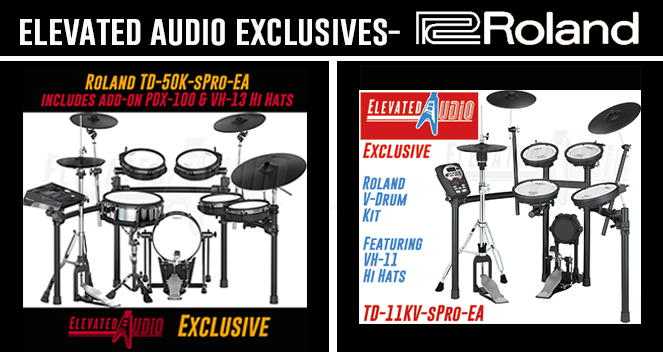 Elevated Audio’s “Try it before you Buy it” program is not always available for all pieces of equipment. In many cases we do have equipment that is specifically used for demonstrating and trying out equipment. However, we do not generally open brand new boxes to demo equipment as that lowers the equipment’s resale value. Please call us if you would like to try out a piece of equipment and find out in advance if we have that particular piece of equipment in stock to demo. Thanks for understanding. The statement “we have the lowest prices” is not meant to be a guarantee. 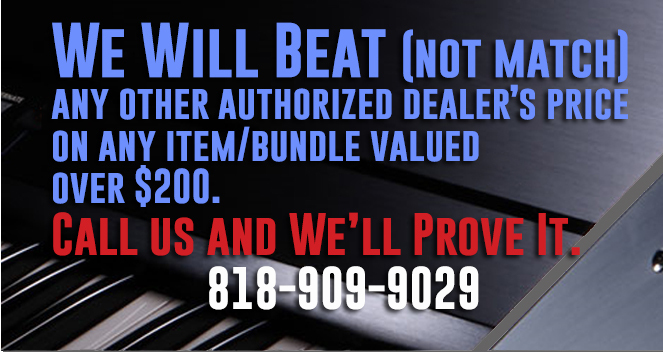 However, it is our sincere belief that most times we can offer you lower prices than most “authorized U.S. dealers”. 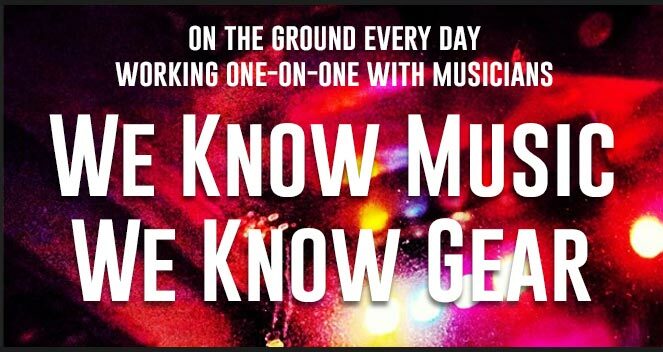 This includes only bona fide online or bricks and mortar retailers whose business is the sale of first quality new musical instruments, equipment and accessories which are authorized by substantially all of the manufacturers whose items they sell, including the item at issue. Generally speaking, most times this does not include sellers on third party sites such as Ebay or Amazon as many of them are not authorized dealers. Whether you are interested in rehearsing at Elevated Audio in Los Angeles, CA or buying great equipment at the lowest price, we’re glad to hear from you. Don’t be shy. Call or send us a message today! By sending us an email from our website you are agreeing that you would like to be added to our emailing list, which we send out periodically to inform you of great deals on equipment. If at anytime you would like to be removed from the list, just respond with “remove from list” in subject title and you will be removed immediately, no questions asked. Elevated Audio will NEVER share your email info with anyone, for anything, period.